A couple of years back I set up my own home baking business to bring my love of all things naughty and nice to the wold. This led to many exciting events, weddings, birthdays and charity gigs where I have helped to satisfy people's sweet teeth. I love to post pictures of my bakes on Instagram and Twitter, but I've decided it's time for a new challenge, and 2017 is the year of weekly baking blogging! I'm going to be recipe testing, trying out and adapting other peoples recipes, and also baking my own creations. So thanks for joining, and don't forget to follow on Twitter or Instagram to keep up-to-date with the blog. I also sprinkled the cookies with some cinnamon before they baked, just to give them an extra wintery taste. This was a really easy recipe to follow, and the cookie texture turned out great, with a lovely, crisp snap. I have to say, for me, there wasn't enough spice within the biscuits. 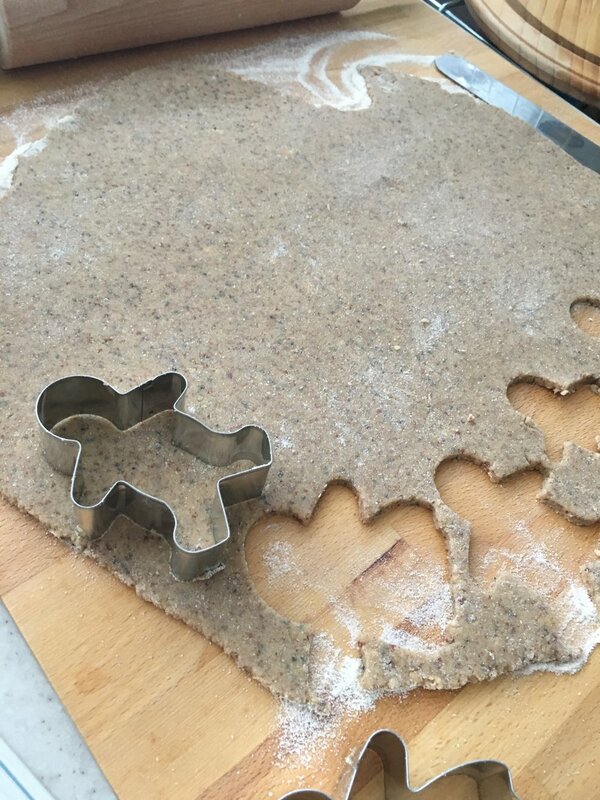 They have a good ginger flavour, but I like my gingerbread to be winter-tastic, so I'm going to try these again and reblog with my own tweaked version of the recipe. I think it definitely needs some clove, more cinnamon & nutmeg in the mix. Nevertheless, slathered with a bit of cashew nutter or with a fragrant chai tea, these make great, healthy, vegan bikkies. Give them a go!